Give your children a solid foundation through our homeschooling curriculum! At The Learning House, we are passionate about supporting parents who are homeschooling their children. We are dedicated to providing excellent resources to help you accomplish this task. 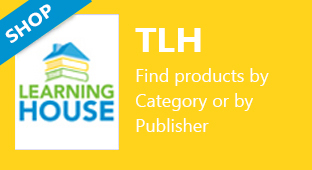 As distributors of materials from over 100 publishers we are confident that we can help you find tools to enable you to have a successful homeschool experience. 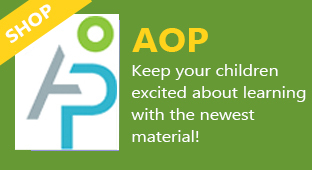 Whether it is traditional learning, classical education, or the Charlotte Mason method we have the resources to help you put together a successful curriculum package for your children. As you research various curriculums and products it can seem like a jungle. Some are extremely structured and academic while others are more loosely organized. Is hands-on learning a priority or should you concentrate on book work? What is best? Here at The Learning House we are all about options. Options mean that you should be able to find the program that will meet your needs. Our staff spend many hours researching to find a strong product mix that will meet the needs of parents and students alike. Whether it is video teaching, on-line learning, independent study, or traditional teacher student related material, curriculums have been selected because of solid content. We look forward to helping you sort out what is best for you and your children. At The Learning House we believe that God has created every child as a unique and special person. The homeschool years, from birth to 17 or beyond, are pivotal in determining who your child will be as an adult. While academic skills are important, the values that we teach and share in our home will shape who they become as an adult. These are years to maximize learning and training. Strong educational materials that provide structured learning, as well as opportunities for discovery and exploration, provide a balance of theory and skill application. We understand that finding the right curriculum for your child can be challenging. Our experienced and efficient staff will help you select materials that will fit your family goals and expectations. Comprehensive placement tests can assist you in determining which level of a curriculum will be best for the student. This is especially valuable if you are switching curriculums or starting to homeschool with older students. We have a heart for struggling learners! Learning is for everybody and at The Learning House we strive to help you homeschool children with learning issues or other special needs. You can benefit from our online resources, product suggestions and interesting tips that will make the process easier for you. You can also contact us personally for any help or assistance you may need.